Sure, you love the look of those big, bouncy curls and smoothed-out tresses when you heat style your hair. But the breakage? Not so much. Help extend your look with this oil-infused mousse. 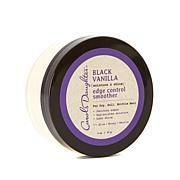 Its velvety formula offers body, bounce and hold without weighing down your strands. Love your locks even longer. Ingredients: Water (Aqau), Polyquaternium-11, Butane, Propane, Glyceryl Caprylate/Caprate, Aminomethyl Propanol, Ammonium Lauryl Sulfate, Soytrimonium Chloride, Propylene Glycol, Phenoxyethanol, Fragrance (Parfum), Cocos Nucifera (Coconut) Oil, Gardenia Tahitensis Flower Extract, Olea Europaea (Olive) Fruit Oil, Argania Spinosa Kernel Oil, Salix Alba (Willow) Bark Extract, Phenonip. As Lisa promises, this does not leave your hair crunchy. I have very dry, curly, fine hair that I straighten. It's hard to find styling products that do not weigh my hair down. I'm glad I locked this in on auto-ship! The manageability and style you get is like no other. I can run my fingers through my hair without tugging and breaking even more hair in the process. I'm so glad I gave the Carol's Daughter line a try. Everything I've tried so far has been a lifesaver for my hair. This is the greatest mousse I have ever used. I have tried mousses from the shelf and from salons but never found one I like. This mousse is great. Hope I never run out. light non sticky or oily just the right amount of control.